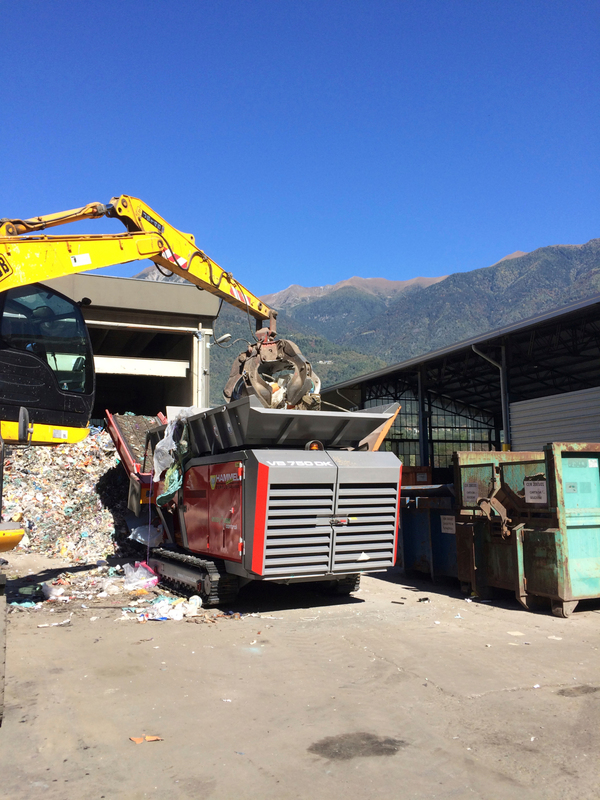 HAMMEL Recyclingtechnik GmbH also took part as exhibitor at the Ecomondo trade-show located in Rimini/Italy for more than 18 years, now. The trade-show has become an effective meeting point for the companies and new and existing customers. 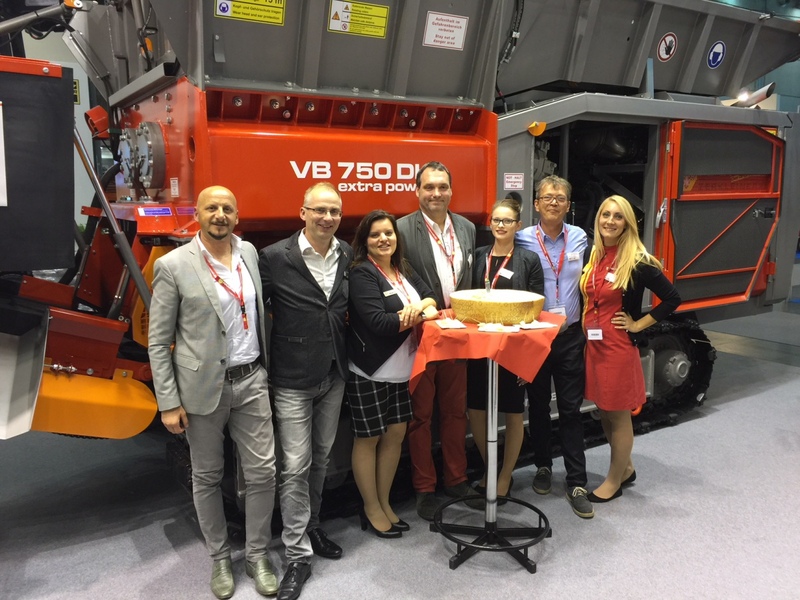 The trade-fair team was completed by HAMMEL’s Italian business partner company 4service Europe s.r.l. and several HAMMEL members. 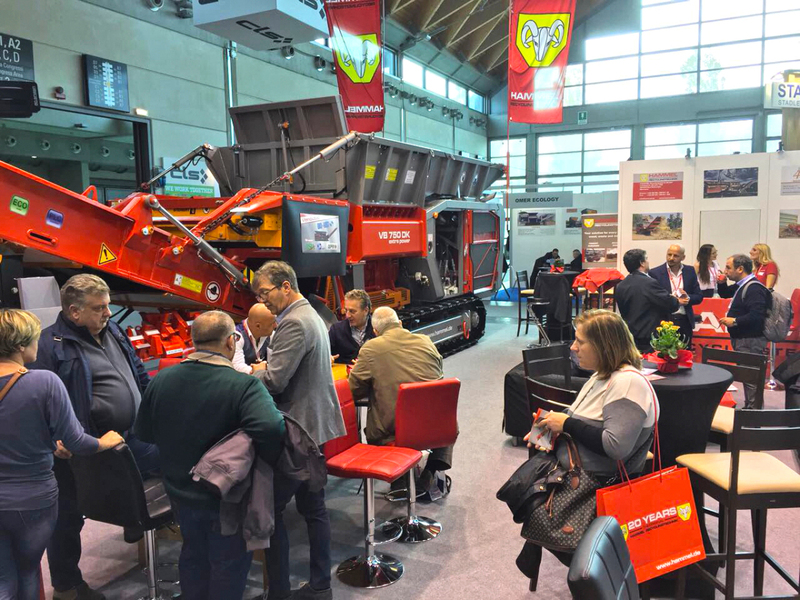 Through these means of cooperation, numerous prospective customers not only from all over Italy but also from many other European and non-European countries were able to be consulted on an individual basis. 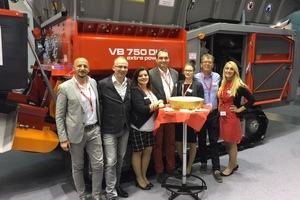 This year’s trade-show unveiled two new product innovations, the first being the primary shredder 750 DK extra power and the secondary shredder HEM 400 D. The HAMMEL primary shredder type 750 DK extra power, with its modified powerful CAT diesel engine with approx. 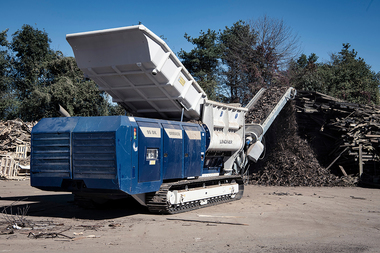 480 hp and wider tracks offering greater flexibility as well as an over belt magnet for optimal separation of ferrous metals, it is an impressive and powerful machine. 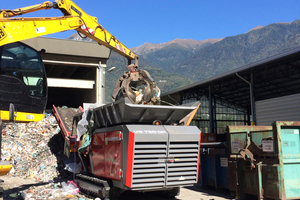 The machine can be used to pre-shred materials like wood, bulky and industrial waste as well as aluminium profiles and light metal scrap with a high throughput. 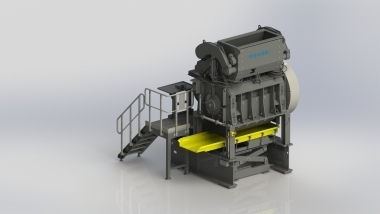 The HAMMEL secondary shredder type HEM 400 D, equipped with a Cat engine with approx. 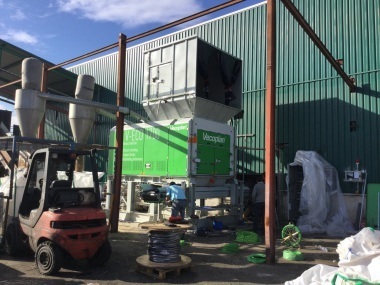 350 hp is applied as a secondary shredder for aluminium. 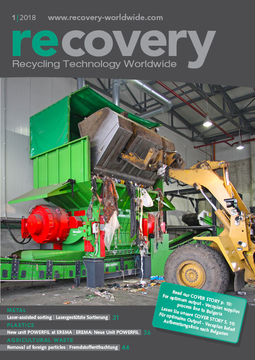 The shredding rotor with 52 eccentric discs shred the pre-shredded material in the secondary stage. The screen basket around the rotor define the final grain size of approx. 0 – 50 mm with a small percentage of oversize. This end product is optimal for a later treatment for aluminium melting companies and for further separation of different alloys. 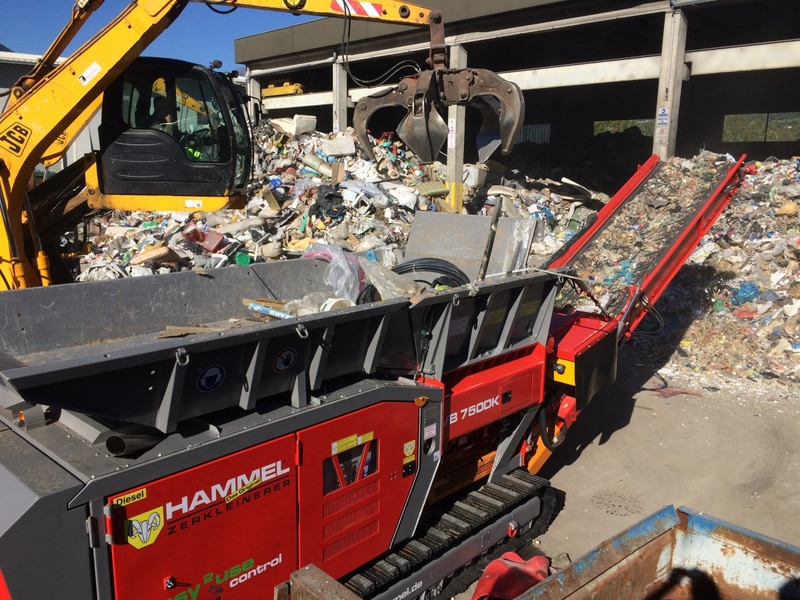 The Ecomondo was the final hightlight for HAMMEL and 4Service after a successful demo tour throughout the northern, middle and southern parts of Italy. 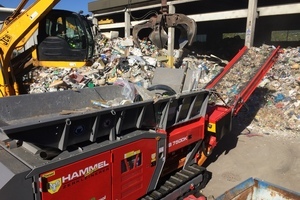 During the four-week tour, HAMMEL was able to prove the efficiency of its machines through shredding different materials like waste, wooddebris and metal profiles. Next year further demo tours are also in planning. 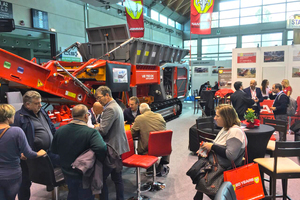 Equally the planning of tradeshows is also on target for 2018, besides the Ecomondo also some other national and international trade-show will be important for the company.